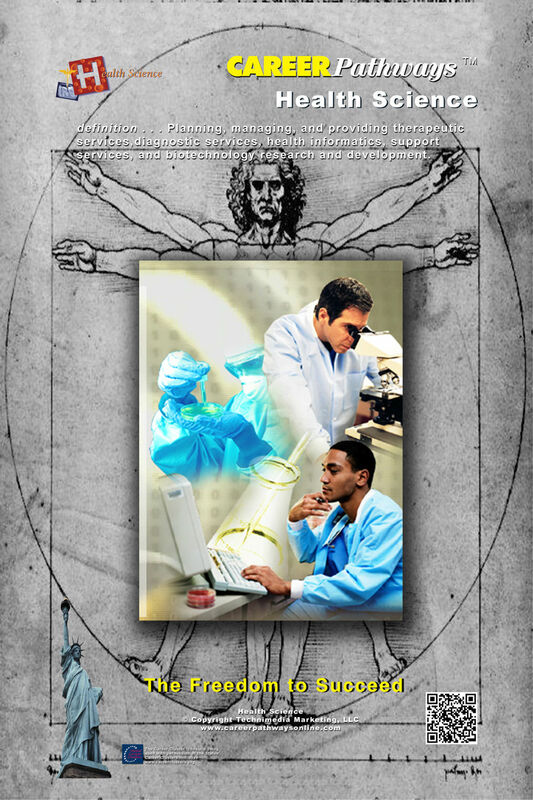 The Health Science Career Cluster Poster is just one of the 16 posters available in the 16 Career Cluster Poster Series. These posters are based on the16 broad career categories established by the U.S. Department of Education, these eye-catching posters feature images that represent each Career Cluster, as well as a helpful definition of the cluster—a great tool for teachers, counselors, and parents in helping students identify their interests and goals for the future. Correlates to the National Career Development Guidelines from the National Occupational Information Coordinating Committee.